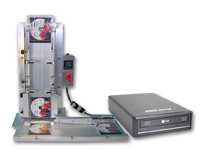 US Digital Media is a manufacturer and distributor of a large inventory of CD, DVD and Blu-ray™ Duplication and Printing equipment. 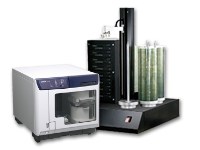 Our trusted line of Accutower Duplicators are some of the best in the market for duplication. All our duplication equipment comes with technical support you can count on and our unmatched industry knowledge. We sell a variety of top-selling brands for in-house duplicating and publishing, including Accutower, Epson, Microboards, Rimage, Primera, and more. 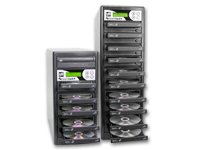 Accutower DVD/CD, LightScribe, and Blu-ray duplicators are available in a variety of sizes and configurations for any production needs. Choose from inkjet, thermal and thermal re-transfer. 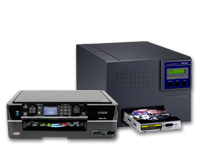 We are proud factory authorized resellers of Primera, Rimage, Epson, Microboards and more. We have a diverse selection of accessories and peripherals to augment your printing and duplicating. Contact us and see what other products you need to make your project succeed.